You know that woman in the airport… the one that looks WAY too put together to really be traveling anywhere - especially with kids? I openly mock her, but secretly want to be just like her. 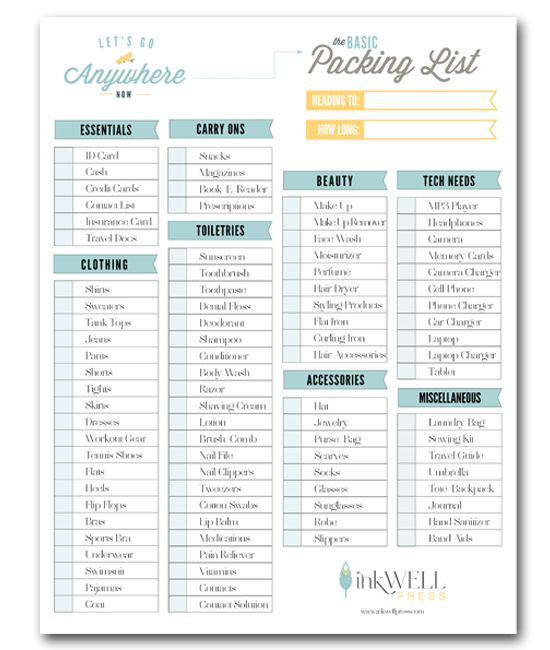 And with this fun free downloadable packing checklist I think I can. And you can too. 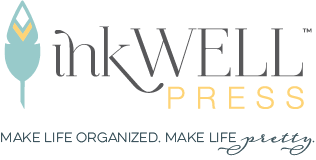 I wanted to create a packing list system that would work no matter where your travels may bring you, so I started with a basic packing list then added on a few booster sets to help gear your packing to your specific location. Let me show you how this works… you'll start with the basic packing list which includes items like clothing, toiletries, carry on items, gadgets (think: iPhone charger). 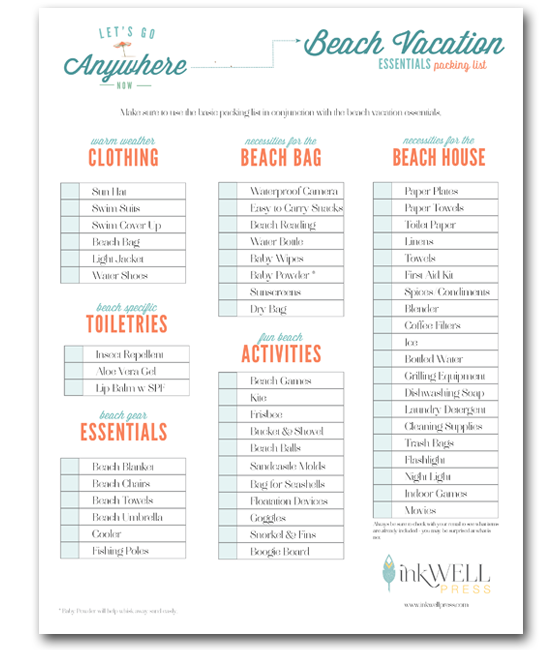 Then choose an add on list based off your destination… so if you are heading to the beach you need to think about sunscreen, beach house items, floaties & what to pack in your beach bag. 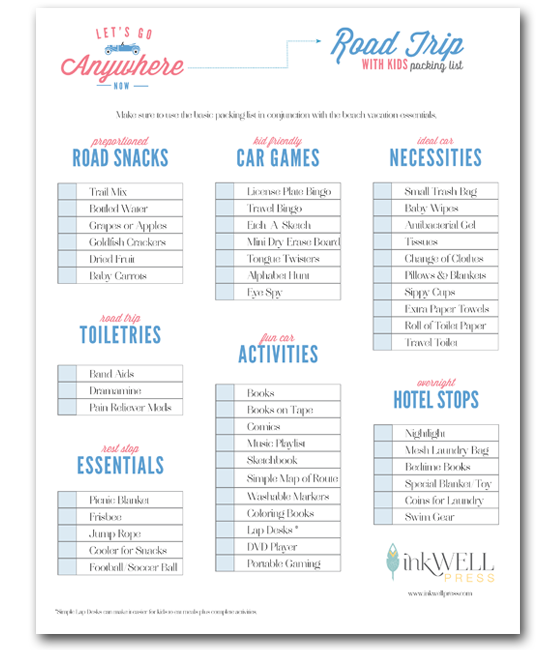 …or if you are hitting the road on a Griswold style vacation, the road trip essentials list would help you remember snacks, nightlights for your hotel room and your child's favorite lovie. So far I have two booster sets, but I'd love to hear what other types of trips you want me to help you plan for - head over and post your idea on my Facebook page. I can't wait to hear what you'd like to see. 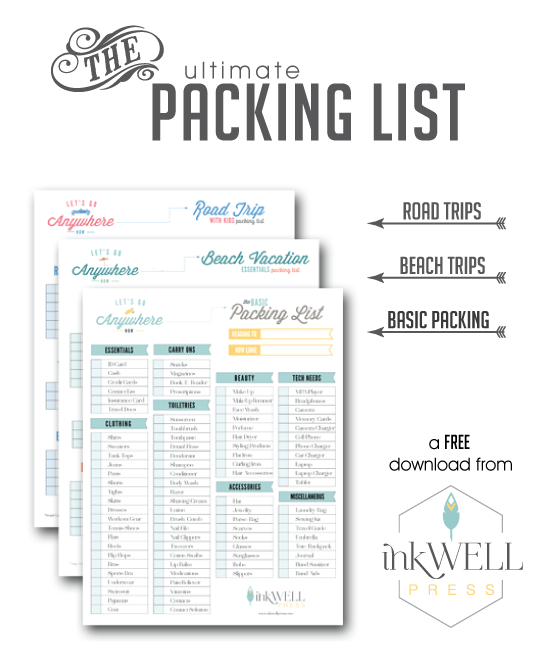 Oh, and don't forget to grab your FREE packing lists!